Reports show that Google will release the Android 6.0 Marshmallow operating system next week. It is not too long before Nexus device users can join the tasty journey. Android 6.0 Marshmallow operating system will be compatible with Nexus 5, Nexus 6 smartphones, Nexus 7 and 9 tablets as well as the Nexus Player entertainment system. Users with those devices could update their system to the latest one when it is available. Google made announcement at an event on September 29 that Android 6.0 would come preloaded on Google’s new Nexus 5X and Nexus 6P smartphones. The update of this Android 6.0 operating system includes a series of new features, for example, it supports for fingerprint scanners, uses improved recommendations engine and enhanced voice support. Android 6.0 Marshmallow is also compatible with other Android devices such as the well-known brands Samsung, Sony and LG handsets. This software will surprise the Android devices users much. It will be great if the new operating system can be accessed to update for other Android users. Nexus users have advantages to update their OS to Android 6.0. There are great chances for them to experience the new operating system before others do, however, this depends on users location and service provider. Huawei’s CEO of consumer business, Yu Chengdong made an statement at career talk concerns on-campus job fair at Tsingha University on September 23 that the company plans to recruit about 10,000 graduates among universities next year. At the beginning, the annual salary might be over 350,000 yuan. Yu Chengdong graduated from Tsinghua university in 1993 with master degree. He made an carrier talk to inspire its schoolmates. He emphasized on importance of orientation and pattern from four aspects, individual, enterprise, future and students. He claimed that Huawei has been working hard to reach its goal to be the world number one. Huawei was established in 1987 and it was set to be the most advanced communication equipment enterprise. It aims to explore the homeland market as well as hitting oversea markets. 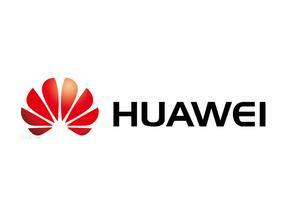 In order to adjust the new strategic pattern, Huawei considered its as the most advanced ICT supplier in 2011 and established business of carrier, enterprise and consumers. The business of Huawei has been distributed to 170 countries and it became the first majority provider of telecom equipment. It was listed in top 500 in Fortune magazine. So for, Huawei owns 16 R&D centers. To remain its competitiveness among the high tech impact, Huawei is now working on the technical research of science, virtual reality, artificial intelligence and 5G. Huawei claims to engage itself to connect the world with more advanced technology. It is hard to purchase Ubuntu products from its retail stores, however it is easier to get one from online stores. 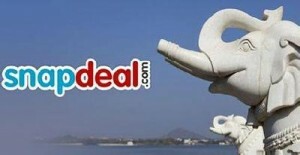 Snapdeal is one of the biggest online trading platforms in India. The sales of mobile devices account to a great amount of its total revenues. Recently, Ubuntu is working to introduce its products to India through Snapdeal. Therefore, the Indian customers will be able to buy Ubuntu laptops, PCs and mobile phones. Canonical firm plans to open a brand-new Ubuntu exclusive shop on Snapdeal, becoming the exclusive wholesaler for Bq Aquaris E4.5 and E5 Ubuntu Edition smartphone devices in India. It will also sell Ubuntu desktops of HP and Dell. Ubuntu also teamed up with other companies such as Samsung, Apple and Dell, selling its own products through building its exclusive shop. The brand exclusive shop is a good platform that enables a company to displays its products and uses its customized products. Snapdeal offers a great online trading platform to popularize its products. There will be more Ubuntu fans find the Ubuntu products from its online shop via Snapdeal in India. They will be available to purchase Ubuntu laptops and desktop computers. By avail of this online trading platform, Ubuntu will be easier to find more potential clients on Snapdeal. It is not the first time that Canonical company teams up with online retailers to promote its Ubuntu devices. It introduced a series of Ubuntu 14.04 LTS HP laptops on British eBuyer last year. The high tech products publishers update their hardwares and softwares every now and then. Google is among them to modify its products currently. It is said to it will launch a new Chromecast soon. If so, the users will be able to have their media streaming hardware upgraded. It seems to be a fashion by doing so. News from 9to5Google‘s sources, Google is reportedly to launch a next-generation version of its Chromecast dongle at the end of this month. The update version HDMI stick is reported including revamped WiFi, support for content feeds, and new features called “Fast Play” and “Chromecast Audio”. According to the statistics and reports posted, indicating Chromecast Audio enables users to insert their device directly into any speaker system via an auxiliary port for multi-room playback. Regarding of Fast Play feature, it is said to boost speedier connections and content access. As other gain companies also launched new updates currently, Chromecast will face intense competition. Amazon updates its Amazon Fire TV stick and Apple modify its Apple TV as well. The sales of Chromecast may not grow much even if it cuts down the price as an alternative because of Apple TV’s high competitive power. 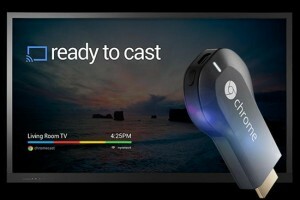 Google has not made official confirmation for Chromecast’s debut, but it will release a product on September 29. Is Chromecast possible coming to us on that day? Fashion retailer Burberry won more concerns and discussions as it launches its own Apple Music channel dedicated to British talent. To full implement of this Apple Music channel, Burberry made cooperation with iPhone maker to make a station for British talent as well as the collaborations with those emerging artists. Users can find the channel within the Curators’ section. This channel concerns the support of UK artists which is an extension of the fashion house’ s Burberry Acoustic series. As the channel is currently launched, users will only access to the videos from Lilla Vargen, Rhodes and Alison Moyet as well as the live footage from last year’s BurBerry Womenswear show at present. Apple Music will come to a new stage of its life as the initial three-month trail on offer at launch will be ended soon. During the trail period, the company collected the scores of customers set to measure Apple Music to see if it is worth spending £ 9.9 each month on. Google executive chairman Eric Schmidt feels it is not worth paying for on Apple Music channel. He currently addressed that some of its practices are out of date. 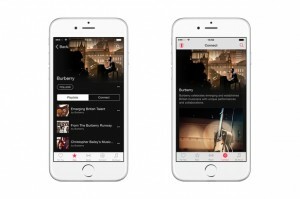 Time will tell use whether Apple Music channel is worth paying for. If you are interested, you can play close attentions to Burberry news concerns this subject. According to the reports that Windows 10 is downloading to computers by itself whether you need it or not. Have you ever notice this? It was reported by an Inquirer reader that he found the software’s installtion files had automatically found their way to a hidden directory on hits PC. The download come in anonymous source as he did not opt in to download Windows 10. There were also other PC users reported the “optional” download doing automatically. He told the publication reporter that he thought Microsoft hinted the upgrade was optional. He wondered why does it try to install over and over again. Windows 10 is not installing itself once the files are installed, but the download demands between 3.5GB and 6GB, placing demand on disk space and bandwith. Microsoft hints users to install the OS each time they open the computer. However, it seems that the download come to the users on Windows 7 and 8 who have upgraded Windows 10 from Microsoft, a setting that needs to be active for critial security patches to come through. The statement from Microsfot company, indicating that Windows 10 download itself is to help users prepare for the OS switch when they are ready. 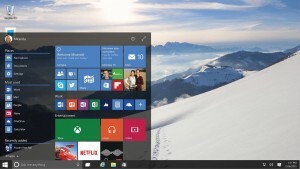 When the upgrade is ready, the users will be indicated to install Windows 10 on their PC. There was previous report about Windows 10 concerns that Microsoft has the power to remotely delete pirated contents from computers. Marriot Hotels are providing more in-room entertainment options than before. The comany addressed on Wednesday that it has introduced a new two-week trial of “Vroom Service” that allows guests to order virtual reality experience in the hotels. 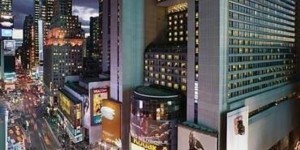 But the serivice is only testing at the New York Marriott Marquis and London Marriott Park Lane properties so far. VRoom Service is the wisdom of the copperation between Marriott Hotels and Samsung Electronics America. The services allows guests to request VR handsets and headphones for a 24-hour loan. The guests will be able to experience the virtual journeys by using Marriott VR postcards as long as the equipment is delivered. The VR Postcards are also released on Wednesday. They are stories that attracts guests and can be experienced by guests in 3D. The VR Postcards offers the guests a chance to folllow real travelers in fascinating resorts by using virtual reality service. So for, VR Postcards have been applied at a Rwandan ice cream shot in Chile’s Andes Mountains. It locates among the busy Beijing’s streets. Matthew Carroll, vice president of Marriott hotels said that guests would like to play imagination in relaxed and fancinating spaces. And the Vroom combines stories with technology that are important to travelers. Besides, Marriott Hotels also tested with a great many of innovative technology to upgrade the guests’ experience. It imported Netflix to its in-room TVs and introduced an app to help guests to meet one another. Marriott Hotel is even the first hotel to use Apple Pay for check-in and check-out. 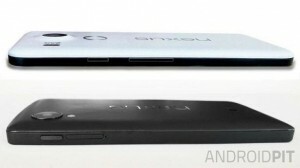 It has been rumored for some time that Google’s new Nexus will be introduced to the public soon. The latest unvealled news reports that its pre-order trail will come on Ocotber 13. According to Talk Android resource, Huawei Nexus 6 and LG Nexus 5 will be released closely at that time. But there is no another picture of LG Nexus 5 to be confirmed yet. Please see the image and it offers a side-on look at the Android smartphone. You may find out there are minor changes to the button placement. It seems like it is made with a plastic build. The 2015 Nexus 5 is supposed to equip with a 5.2-inch Full HD screen, a Snapdragon 808 CPU, 4GB of RAM and a USB Type-c port for faster charging and data transfers. With those figures, the Nexus 5 will provice users a better and faster browsing experience on the new devices. It has been unveilled that Google new Nexus come with a fingerprint scanner, Android 6.0, and a 13-megapixel rear snapper with a wide f/1.8 apenture lens. 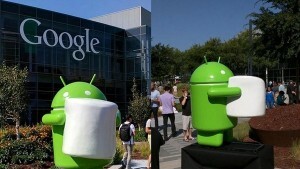 Google has confirmed that it plans to release its new Nexus devices at a press conference on September 29. It will be soon that we can learn more specific details of new Nexus. The second round of Asus’s ZenWatch 2 will come to the stores next month.The consumers will be able to purchase them at local stores. The ZenWatch will be offered in large and small sizes to meet the demand of all varieties of wrist.It charges cheaper price than Apple Watch.It is reasonable to get one if you like. Both seizes of the ZenWatch 2 set a 2.5D curved AMOLED display made from Gorilla Glass 3 and equip with a Qualcomm Snapdragon 400 processor. The ZenWatch device applies a similar design to its older edition but it updates the improved dust and water resistance features.It also adds an additional physical button on the side. The larger 49mm model comes with an convenient additional feature which it updates an optional Chargeback case that pumps the device with extra juice to charge battery when it comes weak. For its other new features,they come with an accurate magnetic charger cable, improved Remote Camera support, faster recharge time and a update Asus Wellness app. There are three color options offered, including silver, gunmetal,and rose gold. It also has different strap options,rubber and premium-grade metal. 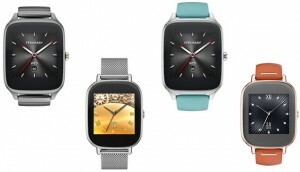 Asus ZenWatch 2 will be compatible with iOS and Android smartphones. And the Android Wear iOS app had been released earlier this week.